George Lord Carter was born in Sydney in 1841, elder son of Robert Thomas Carter, a dealer, and Elizabeth Maria, née Bonn. On 26 March 1863, he married Mary Ann McCoy and had four sons and five daughters. He died at Strawberry Hills in Sydney on 18 October 1891. His wife died on 5 April 1913. The family was interred in the old Church of England Cemetery at Rookwood. By 1877, George Lord Carter was established as a tailor and men’s mercer at 403-05 George Street where he remained in business until his retirement. His private residence was at 2 Belvoir Street. 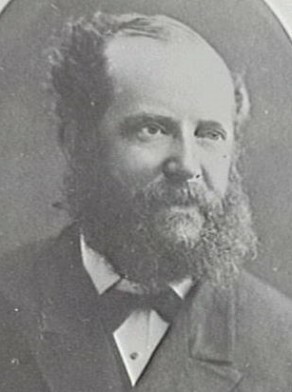 Carter was elected as MLA for South Sydney, 18 November 1880 to 23 November 1882. George Lord Carter was Alderman for Phillip Ward from 21 July 1879 to 30 November 1884.